I wish to share a positive news with you here ! Our team just received an order with USD100k for Aluminum E-caps from Indian customer. Everyone in this field know, Indian market is very competitive. 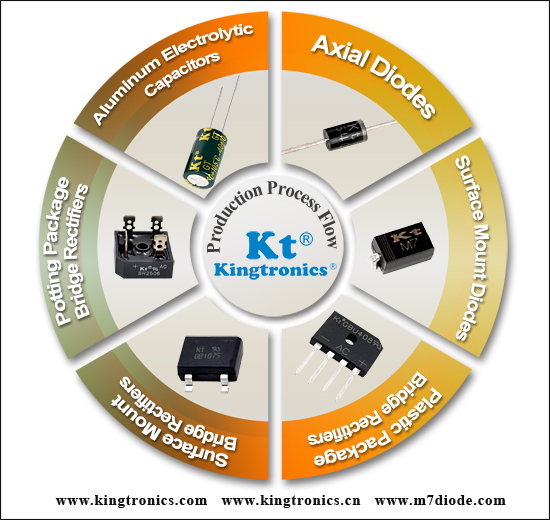 Kingtronics parts and prices can be acknowledged by Indian market. I believe you will be also satisfied with our offer ! 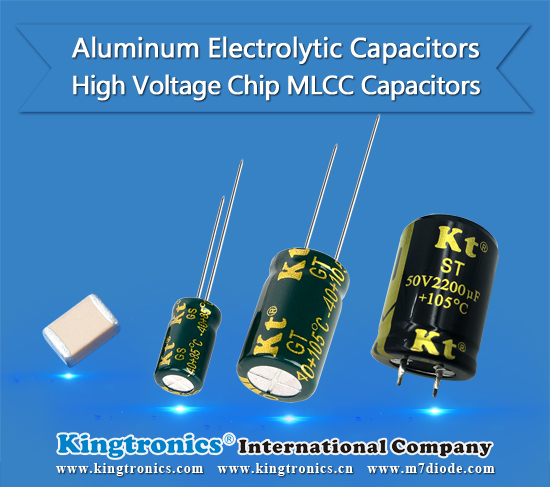 Please feel free to share your inquiry for Aluminum Electrolytic Capacitor. 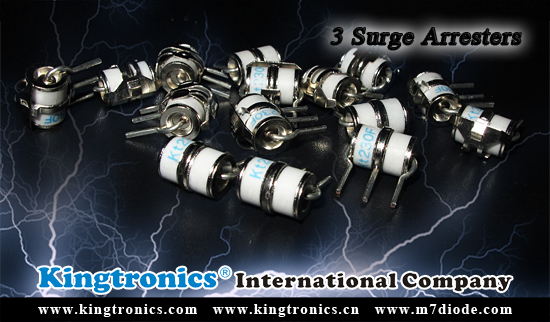 Kingtronics sell 2-Electrode arresters and 3-Electrode arresters. 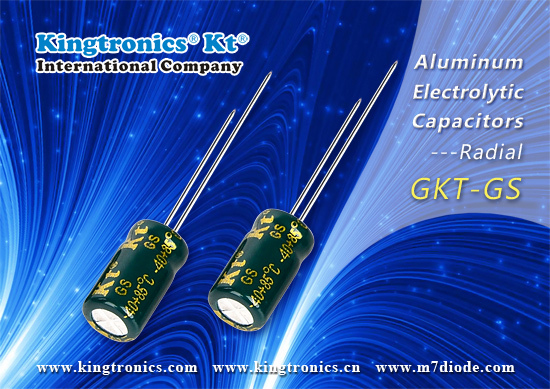 Kt Kingtronics GKT- Aluminum electrolytic capacitor is our leading product, we produce and sell best Radial Type, Snap-in Type and SMD chip type Aluminum electrolytic capacitor. 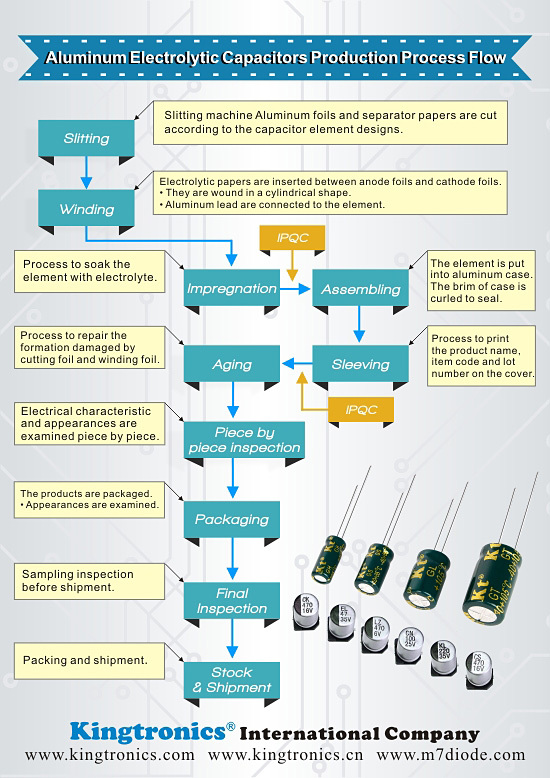 Kt Kingtronics shares you the production process of Aluminum Electrolytic Capacitors. Details please see the below table. Slitting machine Aluminum foils and separator papers are cut according to the capacitor element designs. Electrolytic papers are inserted between anode foils and cathode foils. They are wound in a cylindrical shape. Aluminum lead are connected to the element. Process to soak the element with electrolyte. The element is put into aluminum case. The brim of case is curled to seal. Process to print the product name, item code and lot number on the cover. Process to repair the formation damaged by cutting foil and winding foil. Electrical characteristic and appearances are examined piece by piece. The products are packaged. Appearances are examined. Kt Kingtronics Radial Aluminum Electrolytic Capacitors- GKT-GS: Outstanding Performance and More Benefits You Can’t Miss! Here bring the special news to you. Are you a “Distributor“ who service with electronic components or are you a “Manufacturer” who produce the AC/DC power supply, inverter and solar photovoltaics-PV ? If you are the one of above, you will want to hear the upcoming news what we are going to tell you because it is very important for you. 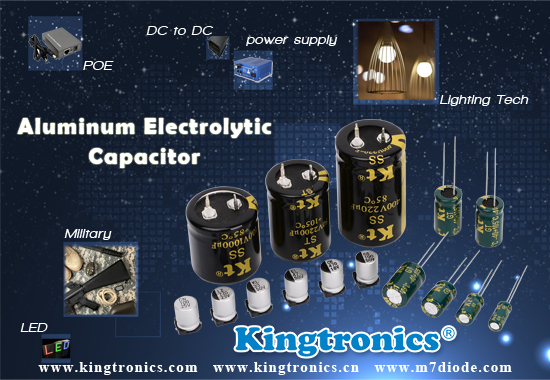 Kt Kingtronics specialized in variety type of Aluminum Electrolytic Capacitors with long life, low Impedance and excellent performance options. 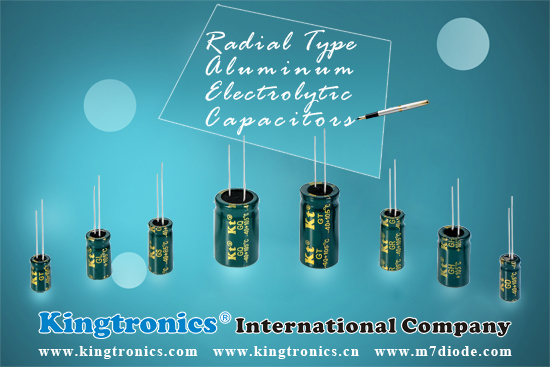 Our Radial Type Aluminum Electrolytic Capacitors are hot sell in the market. We have the highest quality, moderate price, swift delivery, excellent services to you. 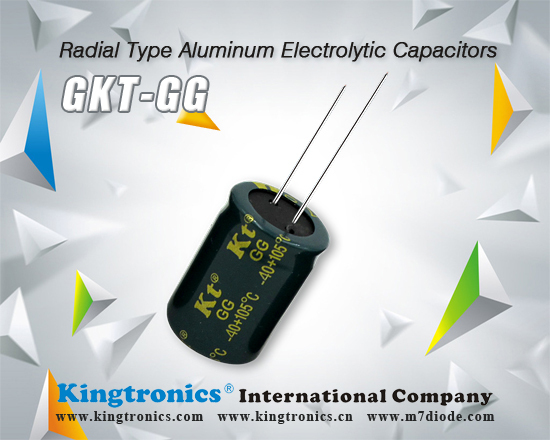 Kt Kingtronics Radial Type Aluminum Electrolytic Capacitors include GKT-GS, GKT-GT, GKT-GH, GKT-GL, GKT-GG and so on. 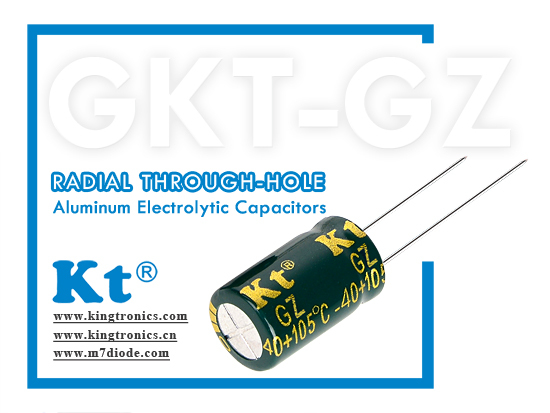 GKT-GG series has not been uploaded on our website, it’s available when you requested. In order to fully meet customer's demand, Kt Kingtronics developed product customization services. If you need other specification, welcome to contact with our sales.